If you’re looking for a new app to try, you’re in luck, 36 iPhone, iPad and iPod touch apps just hit our database. 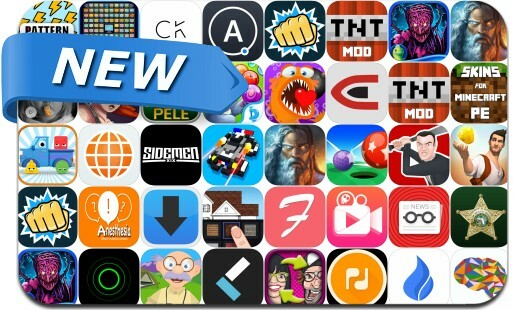 This new apps alert includes Hovercraft: Takedown - Custom Combat Cars, Olympus Rising, Joan Mad Run, Pelé: Soccer Legend, Uncharted: Fortune Hunter, Better Fonts Keyboard, Video Ghost, Pulse, Sidemen Official, Super Smash the Office - Endless Destruction!, Microgolf Masters and many others. iDownloader - Free Music Downloader Pro +.